There was a problem retrieving the contact information for this office. Maintaining the highest standards of ethical business practices is a corner stone of Pan-American Life’s operations across the Americas. To enhance our ongoing vigilance, we want to ensure that employees, strategic partners or clients who wish to anonymously submit questions or concerns relating to unethical or illegal activity have the option to do so. 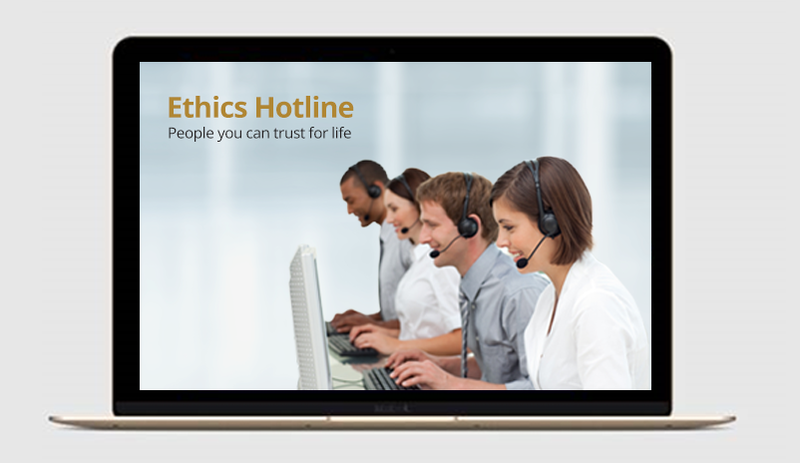 You can report questions or concerns to the Ethics Hotline, which is hosted by Global Compliance Inc.
You can also visit the Global Compliance website by clicking on the link below.